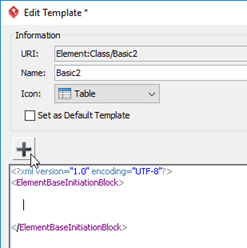 Starting from version 13.2 build 20161021 user can create templates under General category for reuse by other model element’s templates. Specify the name of the new template. 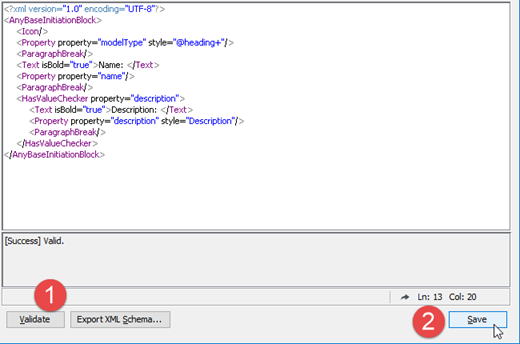 Press Validate after customize the template and press Save to close the Manage Template XML. Once the general template had been created we can then reuse it in other templates. 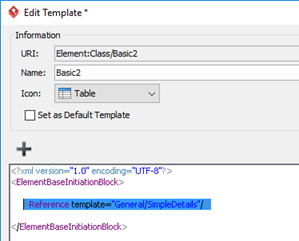 While you are editing the template, press + button at the place you would like to reference to another template. 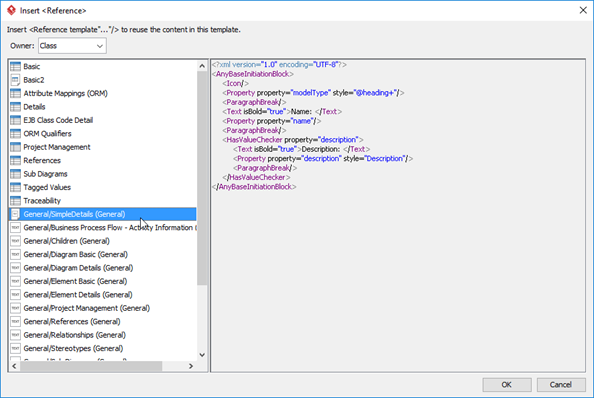 Select the template we created in the Insert Reference dialog and press OK.
After that the template reference is being inserted.